PLANNING. This is what you should start your online store with. Before the first design is drawn up or the first line of code is written, take the time and think carefully about the project from start to finish and make a plan for your future e-commerce website. No one knows better than you what your business is like, what goals you want to achieve and how your business should be presented online. So if you plan well, your online store is more likely to achieve the goals that you’ve mapped out for it. This article discusses the essential issues that make good e-commerce possible and gives you advice on what you should pay attention to when planning a Magento online store (most of the aspects can be applied to any e-commerce website plan). Define who will be involved in the planning process and what the roles for these people are. Familiarise yourself with some of the fundamental financial, security and legal matters that are unavoidable and necessary to conduct business online. These are designed to ensure that customer personal data is kept secure, goods and services meet quality and suitability standards and online contracts are legally binding. Get an understanding of the development process. Read some articles about ecommerce website development. On one hand, you’ll know what to expect when developing an online store. On the other, it’ll be easier to work with a developer or a development company, since you’ll speak the same language. Prepare the project concept before contacting a Magento development company. Don’t expect that the project will be implemented without your commitment. It’s pretty obvious why you need these answers. If you don’t know what the aim of your site is and what your target audience is then the chances to create a successful web store are significantly reduced. This is something that you should consider researching properly; knowing who will want to buy your products and services is something that should influence your design and website structure. It is very likely that you already know what Magento edition you are going to use. If not, you can find information about Magento editions – the paid Enterprise and free Community versions – in our article “Differences between Magento Community and Magento Enterprise”. Depending on the size of your business, the amount of products that will be showcased in the store and the desired functionalities define the edition that meets your business needs. 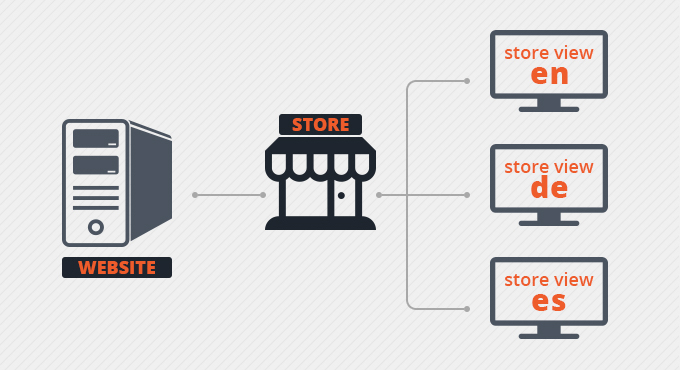 Magento allows you to have multiple websites/stores/store views under one installation. All of this sites will share the same administration panel. In Magento each website/store/store view can have their own design and settings or share them. 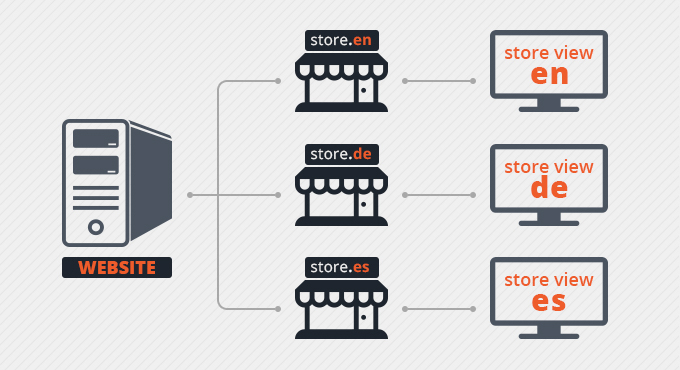 If your online store is supposed to have more than one language – for example, English, German and Spanish (you should plan languages and currencies at this stage, as well), there are two ways to create the structure of your store depending on the domain name or names that will be used. And so on. There is a lot of room to play with for the websites/structure. It cannot be ruled out that someone will buy the desired domain name, if you will hesitate. From the available names, choose one that is most easy to spell and remember, and yhat describes what your company does. Make sure, however, that you’re not imposing on someone else’s trademark or copyrighted name. In many cases, the name of your company, with the addition of .com or .net (www. [YourCompanyName].com) is a suitable domain name that you should definitely register. Create the categories tree/structure for each Magento instance and determine what products will be related to them. It is necessary to know how your product catalogue is organised. This affects the navigation and search in your online store (i.e. how customers find your products). How your catalogue is organised will have a dramatic impact on how your ecommerce website is developed, and on how well it converts visitors to customers. Having a professionally designed website is paramount on the first impression that a potential customer has of your site and its credibility. If the site does not project a style that is attractive and engaging, it is more likely that customers will project their impression onto your products and think that they are not good too. Design plays key role in determining usability, as well. Put simply, the customer experience in surfing your site and finding the products they’re looking for has a direct impact on how many site visitors actually convert into buyers. This is often a dilema for people who are planning to build an online store whether they should buy pre-made themes or have one custom made. There are benefits to both options. We’ll start with existing themes. Using a ready design theme gives you the option to create a good looking Magento store at a fraction of the cost. This option removes the need for custom design, and developing the Magento theme will save you money because such themes can be purchased very cost effectively – under $200. This is good price considering that little design or integration effort is required. There are even free themes for Magento. However, we would not recommend using them, because most of them have bugs that can negatively influence your website operations. Currently there are hundreds of ready design themes available on the market such as TemplateMonster and Theme Forest. Aside from price, this option has another advantage: from the very start you know what your store will look like. If there is the theme that you like, but it doesn’t exactly suite your website identity requirenments, you can customise the theme. The most basic changes that do not require much effort and thus are not expensive include things like changing the logo, adding new banners, changing fonts and colours, hiding some blocks, and so forth. If changes are required in structural areas it can take a lot of time. But it will still be a more cost effective option than the design and development of a completely new theme. A custom Magento design is going to be completely unique to your company and that ensures that your visitors won’t have seen it anywhere else (this can actually be applied to heavily customised themes as well). First of all, you should think about the design guidelines. Do you have an idea of what you want your site to look like? Consider what would appeal to your visitors and the message that you want to convey. Think about the feel you want to convey, for example, formal, modern, hi-tech, casual etc. Look at several online stores you enjoy visiting. Make a note of what you find appealing. It could be layout, navigation, color, the way that the graphics are used, the overall mood or something else. Make a list of the site URLs and the elements that you like and don’t like. The next thing that you should take into consideration is the mobile friendlieness of your website. More than 15% of mobile device users access the web to make purchases. So your site should be optimised for mobile use. There are two options you can choose from as well – a mobile or a responsive version of your site. While a separate mobile site or a site built responsively serve the same purpose, they are accomplished in two very different ways. A mobile site is a completely different site that is designed only for mobile devices. While a responsive website is one site that is built to adapt to the screen size of the divice – desktop, tablet or phone. Taking into consideration that Google has updated its mobile-friendly algorithm that will impact websites search rankings, having a mobile friendly website becomes a must for online businesses. As online users are now using more types of internet browsers than ever before, it is more important than ever that your e-commerce site consistently perform with all browsers. The good news is that the vast majority of online shoppers use either Google Chrome or Firefox. However, some people use such browser as Internet Explorer, Safari etc. and it would be a wise thing to take these consumers into account, as well. Determine how many products will be featured in the store and what their types are. 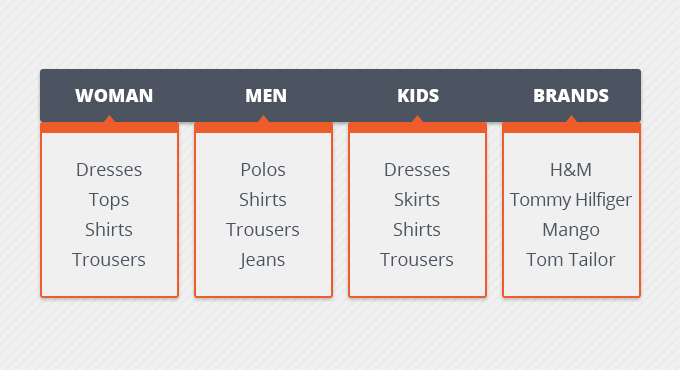 Within the Magento context there are 6 types of products: simple, configurable, downloadable, virtual, bundle and grouped. Simple. A simple product in Magento is a simple physical product that you ship. There are no options like size or color that the end user can pick during the order. Configurable. From the name itself you can make out the use of this type of product. So basically it means that whenever our products have several choices associated with it like size, color, etc at that time it is best to use this product type. Each and every choice may or may not have the additional cost for the product. In the back end, configurable products are made up of simple products. Downloadable. A Magento downloadable product should be used for online software items like MP3 file, a PowerPoint presentation, a Magento extension or whatever. A downloadable product does not allow for the selection of a shipping method at checkout simply because there’s nothing to ship. Virtual. A Magento virtual product should be used for a virtual (not touchable) item like an insurance, a reservation, an extra product guarantee, etc. A virtual product does not allow the selection of a shipping method at checkout, as well. Bundle. A bundle product allows customers to “build their own” product from the variaty of options. For example, it could be a computer, a gift set or anything else that can be modified. Each item in the bundle is a separate, standalone product. Grouped. A grouped product is just a set of simple products. For example, if you want to sell the camera lens + a memory card + a camera. Each of those items would be simple products; you would group them together as a “grouped” product that you could offer on the site. It can be that some of your products have other specific features that differ from the above described product types. In this case, you should share your idea with the developer or a company that can develop this specific product type. Or if this kind of product already exists as an extension – to install it. Specify what media should be used when featuring your products – pdf brochures, videos, multiple images, etc. There other thing that you should consider is whether there will be a need for a product data import. If you have a couple of hundreds of products, that’s not a problem to make it manually. However, if there are thousands of products, this process can take a lot of time. Most e-commerce developers will assume that you are going to supply and load all of the product information yourself unless you specifically ask us to do it for you. These are very vital things to plan and think over. First of all, we recomment getting familiar with the payment and shipping methods that are available in Magento and define what options are good for your online business. There are a lot of default options to choose from. If the default payment methods and providers do not cover your needs, it is not a problem to integrate Magento with any other payment service provider. For the most popular payment service companies, there are ready solutions. In our article “Payment gateways for Magento” you can find more on this issue. Under online rates are meant dynamic rates from shipping providers. Magento is pre-integrated with the world most popular shipping providers – DHL, UPS, FedEx and USPS. However, if you work with other companies that is not a problem to connect it with Magento store. The choice of the solution depends on how much you intend to blog and how advanced the functionality of the blog should be. The first solution is more cost effective and usually is more than enough for blogging on an online store. Integration with WordPress is more complex since its a separate instance that is connected to your store and is more time-consuming. However, it is the perfect tool for blogging since there are lot of plugins you can use to extend WordPress blog functionality. Plan what marketing and promotional tools you want to use when selling online in order to increase your sales and make customers journey more pleasant. This is one more area where Magento is so great. Discounts, tiered pricing, coupons, gift certificates, wish list, product comparison, up-sells, cross-sells, related products, product reviews, recommend to a friend, special offers and many many more features are default in Magento. That not the complete list of features Magento has to offer. There are a lot of other features that can be added through extensions or developed by the development company. Depending on what you are selling, you may need features that Magento sites do not have. 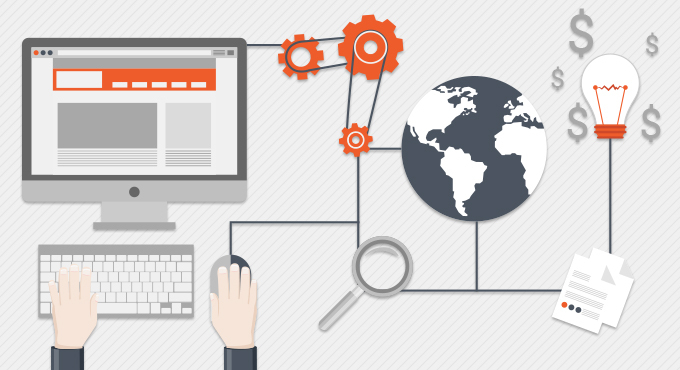 Research what features Magento Edition has out of the box. If you discover that any feature is missed, describe your idea in the project brief/requirenments specification. It’s almost an exception if a Magento store doesn’t come with any integration to a third-party system, ERP, CRM, POS or PMS. The number of possible integrations is endless. Integration with any third party system is very complex and time consuming, especially when there is no ready solution for this. 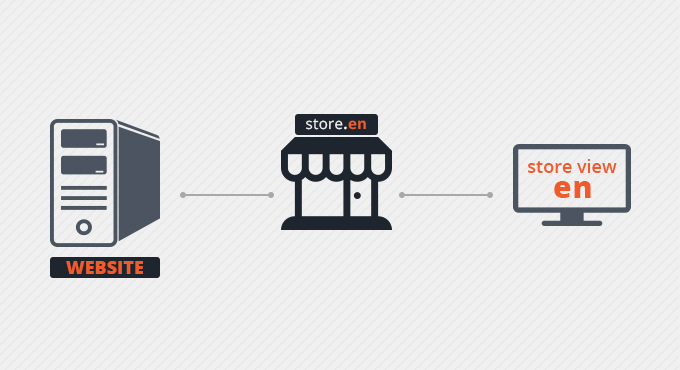 Define what systems are necessary for your online store operations. Every e-commerce website must have security protocols that protect consumer information (e.g. credit card numbers) using encryption. The standard form of security for e-commerce is known as a secure sockets layer, or SSL for short, which is an encryption protocol created to protect information as it is communicated over the internet. SSL certificates require advance registration, a recurring fee, and a unique IP address. There are various types of certificates that offer advanced levels of security. You have probably seen some of them in action; in addition to changing the HTTP to HTTPS, they will also change the color of your browser bar to make the secure environment more apparent — which comes at a higher cost than standard certificates. Prices vary by the issuing provider, of course. But remember: without a SSL certificate in place, users being directed to a secure server would be alerted by their browser that the URL cannot be trusted, and would have no way to ensure that their information is protected, even if it is. Your planning should result in some clear ideas about your web site project. Once you have finished this preliminary planning you are well prepared to start looking for a web developer to transform your plans into reality. To make the process of project planning even more easier, we have created the Magento project questionnaire that can be downloaded from our site and used as a guide. If you have any question concerning project planning or Magento online store development, please feel free to contact us.